One of the primary license servers for specialty software is down. We are aware of the issue and working on resolving the problem as soon as possible. In the interim, certain pieces of software may be inaccessible. 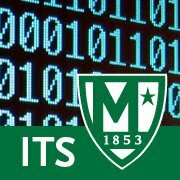 If you are having trouble with a particular piece of software, please open a ticket with ITS by sending an email to [its@manhattan.edu] indicating which piece of software you are experiencing trouble with, when the trouble began, and how crucial the use of the software is. We are triaging based on specific issues reported, so please do not hesitate to inform us of the issue that you are experiencing.